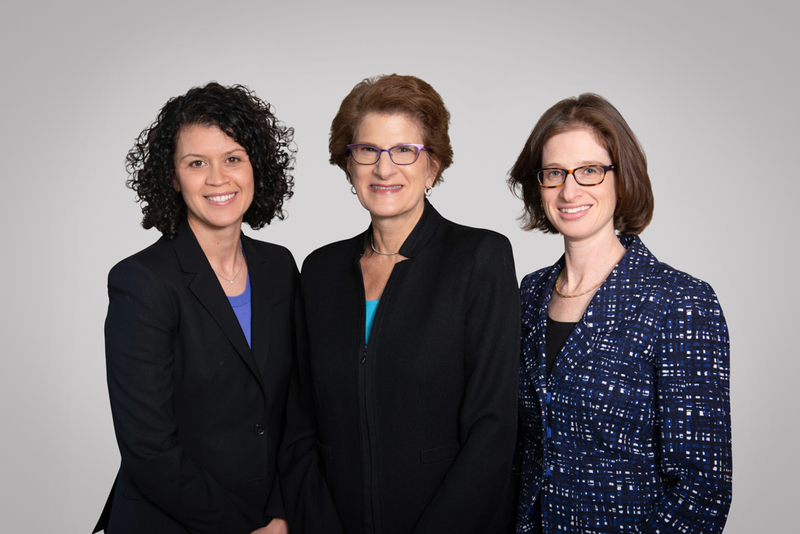 As we at the Kaiser Law Group plan for 2020 and beyond, we decided it was time to update our firm photos. We want our photos and images to project our goals and visions for our firm. We strive to work together as a team to offer collaborative and seamless estate planning and administration services to our clients in a kind and thoughtful manner. We think this photo of our legal team shows our commitment to that goal, and we hope you agree. Dale Ann Kaiser (middle) established the Kaiser Law Group in 1998 to offer her clients superior legal services with personal attention. Rachel Ziegler (right) joined Dale in 2008 to help support and grow the practice with a team approach. Davina Lewis (left) joined in 2017 to work with Dale and Rachel. We work collaboratively on all estate planning and administration matters to provide efficient and high quality legal services. Not pictured are Leisha Fontecchio and Megan Lenzi who provide important paralegal and administrative support and are integral members of our team. They were invited to join the photo, but are surprisingly camera shy. This entry was posted in estate, estate planning, estate tax, law, probate, tax law, trusts on April 15, 2019 by Rachel Ziegler, Kaiser Law Group. A Living Will is a legal document in which you express your wishes about your health care, including end of life care. In your Living Will, you may also express your wish that your organs be donated after your death. Although organ donation can and does save lives, many clients ask me to eliminate organ donation language from their Living Wills. One common reason they cite is the prohibition against organ donation under Jewish law. “Jews don’t do that”, they tell me. I am often surprised and disappointed that these clients choose not to be organ donors. It seems a waste of a potentially life saving opportunity. So when a recent client – who is an observant Jew – educated me about the real Jewish beliefs about organ donation, I was intrigued. Jewish (i.e., halachic) law permits organ donation. It imposes rules and restrictions on the definition of death, burial, and body desecration that may limit organ donations. But there is no blanket prohibition. In fact, there is a Jewish principle (pikuach nefesh) that the preservation or saving of a human life overrides all other religious rules. Giving an organ to save a life is a mitzvah (i.e., a commandment or a good deed) more important than all others. Limit the donation to certain life saving organs. State expressly that organ donation is to be done only to save another’s life. Require organ donation to be made only as permitted under Jewish law. A well drafted Living Will will allow you to remain an organ donor without compromising your values. I am not rabbi or an expert in Jewish law. You may wish to consult one in making this decision. For more information on this and related topics, I also recommend you consult the Halachic Organ Donor Society website. 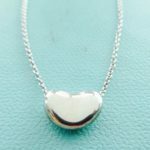 *The Kaiser Law Group’s Megan Lenzi wears this Tiffany & Co. silver bean pendant, a gift she received after donating a kidney to her brother. This entry was posted in estate, estate planning, estate tax, law, probate, tax law, trusts and tagged estate planning, probate, tax, trusts on February 11, 2019 by Rachel Ziegler, Kaiser Law Group. 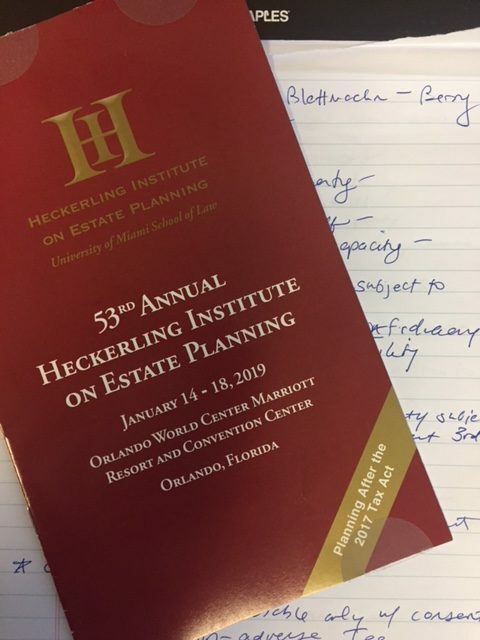 Our annual trip to the Heckerling Institute on Estate Planning in Orlando, Florida was informative and educational. 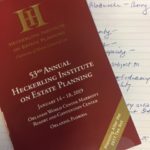 The Heckerling Institute is a nationally renowned educational conference for estate planning attorneys and other professionals from around the country. The following are some of the estate planning tips and advice we found most interesting this year. Plan for increased tax basis. The increased federal exemption has shifted much of the focus of estate planning toward income tax planning. For this reason, it is important to integrate estate planning strategies that maximize the tax basis of your assets. There are number of strategies that we use in our practice. For example, Trustees may distribute assets out of a trust to a beneficiary so those assets are includible in the beneficiary’s estate and eligible for a basis step-up. In addition, your trust may allow the Trustee to grant a beneficiary a general power of appointment so that assets may remain in trust but receive a basis step up at the beneficiary’s death. Make charitable contributions from IRAs. If you wish to make donations to charities, it may make sense to make those donations directly from your IRAs. Doing so may result in income tax savings for you or your estate. Charitable contributions can be made directly to public charities from IRAs during your lifetime if you are over the age of 70½. They can also be made directly from IRAs after your death by naming as the IRA beneficiary a charity, Donor Advised Fund, or a Trust that includes charitable distributions and allocates trust income (i.e., “income in respect of a decedent”) to the charitable distributions. Questions remain about state income taxation of trusts. Can a state impose tax on trust income of an out-of-state trust because the beneficiary is a state resident? As of now, there is a split of authority in courts’ answers to this question. Some courts have said “yes” – if a beneficiary is a state resident, that state can tax the trust’s income. Some courts have said “no”. The Supreme Court will soon answer the question in the case of North Carolina Department of Revenue v. Kaestner. It is an important case that will have significant implications for taxing trusts. Your estate plan should include proper planning for foreign assets. 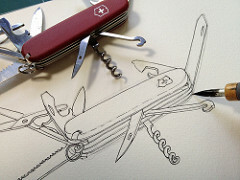 S. citizens and residents who own assets abroad need to plan properly for those assets. There are special income tax rules and reporting obligations to comply with during your lifetime. Because foreign laws affecting the disposition of assets after death are different from U.S. laws, you may need to include special provisions in your estate plan to be sure these assets pass properly. For assets in some countries, it may make sense to have a separate estate plan prepared by an attorney in that country. Plan for proper disposition of your cryptocurrency. Once considered the wave of the future, ownership of cryptocurrencies – like Bitcoin and Ethereum – is becoming more popular and more conventional. These non-traditional assets may require special income tax reporting and estate planning. It is important to discuss these assets with your advisors to be sure they can be identified, located and distributed properly after your death. Disclaimers after death can be used for effective post-mortem estate, tax, and charitable planning. A disclaimer is a renunciation of assets by a beneficiary of a Will or Trust. Disclaimers can be used during the process of estate administration to accomplish many goals, including redirecting assets to different beneficiaries or charities and minimizing taxes. Although we do not recommend relying on disclaimers for your estate planning, they are an important post-mortem estate planning tool that can help families. This entry was posted in estate, estate planning, estate tax, law, probate, tax law, trusts and tagged estate planning, probate, tax, trusts on January 24, 2019 by Rachel Ziegler, Kaiser Law Group. Happy New Year! We hope 2018 was a good year for you. We are writing to update you about changes in tax law and additional estate planning news for 2019. There were significant changes to the federal gift and estate tax laws in the beginning of 2018 after the Tax Cuts and Jobs Act of 2017 was passed. In 2019, the gift, estate, and generation-skipping transfer (GST) tax laws remain largely unchanged. Federal – The Federal estate and gift tax exemption increased (for inflation only) to $11.4 million per individual (or $22.8 million for married couples). The Federal gift and estate tax rates remain 40%. The Federal gift tax annual exclusion remains $15,000 per donee for individuals (or $30,000 per donee for married couples). Portability of the federal exemption remains in effect so that a surviving spouse can use his or her predeceased spouse’s unused federal exemption. To do so, a portability election must be made on a federal estate tax return filed after the first spouse’s death. For some clients, portability of the federal exemption may offer a planning opportunity to reduce estate and income taxes. The federal exemption is slated to return to $5 million (adjusted for inflation) at the end of 2025 when the 2017 tax cuts expire. Massachusetts – There are no changes to the Massachusetts estate tax. The Massachusetts estate tax rate is graduated with a top tax rate of 16%. The Massachusetts exemption is $1 million per individual. Unlike federal law, Massachusetts has not adopted portability and does not impose a gift tax. The increased federal estate tax exemption has led some to conclude (incorrectly) that they no longer need an estate plan with estate tax planning. We strongly disagree. The most important reason we disagree is that Massachusetts still imposes a state estate tax. Massachusetts estate tax is imposed on the entire estate if the total estate (plus lifetime gifts) exceeds $1 million. We do not expect Massachusetts estate tax law to change in the near future. Thus, many Massachusetts residents need to plan for Massachusetts estate taxes. Even those with less than $1 million ought to have in place a high quality estate plan to ensure that all family members are provided for properly. Lifetime gifting of assets to children and grandchildren remains an important strategy to minimize federal and Massachusetts estate taxes. By making lifetime gifts, many of our clients – even those without federally taxable estates – have saved their families Massachusetts estate taxes. Because Massachusetts does not have a state gift tax, annual exclusion gifts and lifetime gifts in excess of $1 million fully escape Massachusetts estate taxes. In addition, taxable gifts of less than $1 million may reduce Massachusetts estate taxes. A trust is a legal structure in which a Trustee manages and controls assets for beneficiaries. Trusts can be flexible and serve various purposes. They are not only for the ultra wealthy. Trusts can protect assets from creditors, predators, and beneficiary mismanagement. In addition, leaving assets to your family members in a trust (rather than outright) can save estate taxes for future generations, simplify the disposition of your assets, and ensure that your assets pass to future generations as you wish. A trust is often the best way to leave assets to minor children, disabled adults, second spouses, adult children who may divorce, adult children with unique needs or lifestyles, and spendthrifts, as well as other beneficiaries. POD (Pay on Death) or TOD (Transfer on Death) account designations are not a substitute for an estate plan. While POD and TOD accounts pass outside of probate and are easy to establish, they also have many disadvantages and limitations. They may even undo a good estate plan resulting in assets passing to the wrong beneficiaries in the wrong proportions. It is typically better to title assets in the name of a Revocable Trust. Assets held in a Revocable Trust can be managed by others during a period of incapacity. Assets in a Revocable Trust are also available to fund a credit shelter trust for a surviving spouse. Finally, a Revocable Trust can ensure that assets are held properly for beneficiaries with special or unique needs. We have been very busy this year! In addition to our client work, we have been busy in the estate planning community. Davina, our newest attorney who joined us in 2017, is now fully integrated into our practice and significantly involved in most estate planning and administration matters. Dale and Rachel offered a three part program to the Massachusetts Association of Accountants in November on “Estate Tax Planning in Massachusetts – 2018 and Beyond”. Dale spoke at a live webinar event on “Estate Planning in an Online World” as part of Interactive Legal’s roundtable series. Dale will finish her three year term on the Board of Directors of the Boston Estate Planning Council in 2019. Rachel finished her two year term as coordinator of lunchtime educational events for the Trusts and Estates Consortium. Rachel and Davina are members of the Boston Estate Planning Council’s committee to plan this year’s annual gala event. Dale and Rachel will attend the 2019 Heckerling Institute on Estate Planning in January. We wish you a happy and healthy 2019! This entry was posted in estate, estate planning, estate tax, law, probate, tax law, trusts and tagged estate planning, probate, tax, trusts on January 3, 2019 by Rachel Ziegler, Kaiser Law Group. 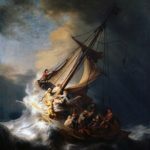 WBUR’s new podcast series – Last Seen – provides a new look at the 1990 Isabella Stewart Gardner Museum art heist. If you grew up in Boston or have lived here since the 90s, you’ve no doubt heard a lot about the St. Patrick’s eve theft of thirteen works of art – valued today at half a billion dollars – that remains unsolved. But “Last Seen” provides investigative journalism way beyond what you’ve already heard. I have been listening each Monday morning on the edge of my car seat, wishing my commute were longer. It is truly that good. If you have visited the Gardner Museum, you cannot help but be struck by the empty frames that remain on the walls where the stolen paintings used to hang. The frames and spaces remain empty – like a crime scene – to remind visitors that the paintings remain at large. Gardner museum director of security (and candidate for Secretary of State) Anthony Amore has committed his work and life to finding the stolen artwork, and wants the FBI and the community to have the same commitment. But there is another reason the frames remain empty – the terms of Mrs. Gardner’s Will require it. In her Will, Mrs. Gardner left the museum, her artwork, and an endowment to be held for public enjoyment, but the Will also included very stringent restrictions. The museum was to remain unchanged from the time of her death, and any change would cause the museum and its artwork would pass to Harvard College. The terms of the Will mean that artwork is not to be moved, with no exceptions. There is however a precedent for change to the museum. In the years after the heist, the Trustees believed the museum needed an update and expansion so the Trustees sought court approval for a restoration and expansion project – a deviation from the terms of the Will. In 2009, a Massachusetts court approved the project, holding that the deviation was reasonable and consistent with Mrs. Gardner’s primary purpose. The new wing, designed by Renzo Piano, is beautiful and modern, and totally different from the rest. The museum Trustees have never sought to obtain court approval to deviate again from the Will’s terms to fill or cover up the spaces left by the thieves. I suspect they never will. To do so would be to give up on their quest to retrieve the artwork. 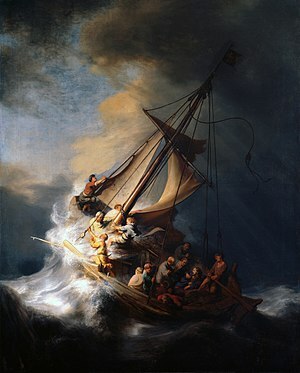 Image of Rembrandt, The Storm on the Sea of Galilee, from Wikipedia. This entry was posted in estate, estate planning, estate tax, law, probate, tax law, trusts and tagged estate planning, probate, tax, trusts on October 9, 2018 by Rachel Ziegler, Kaiser Law Group. Aretha died intestate. What happens if you do? 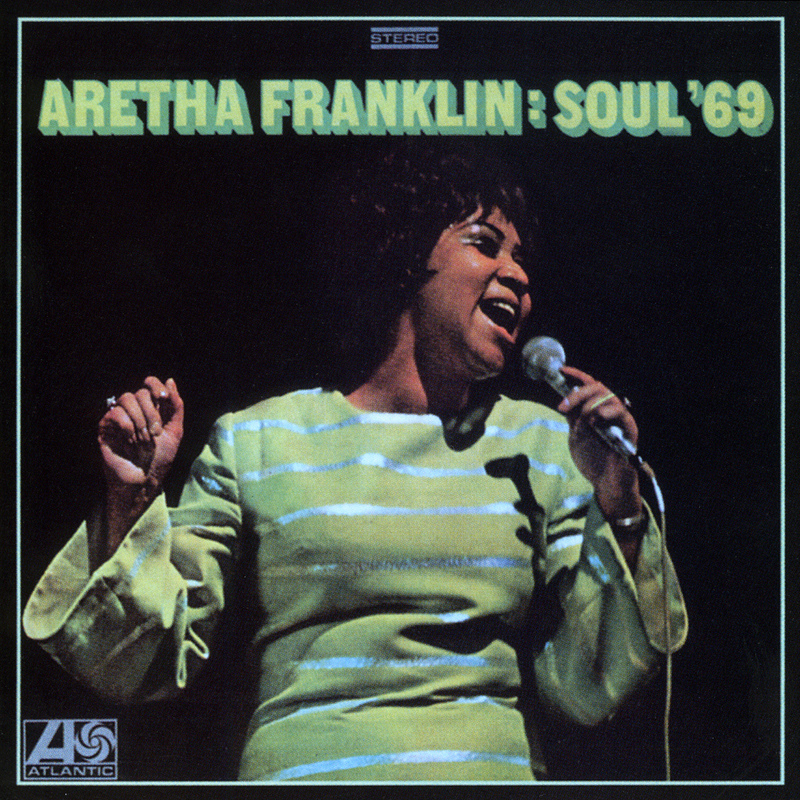 You may have heard the news that Aretha Franklin died on August 16, 2018 without a Will or Trust. This means she died “intestate”. With an estimated net worth of $80 million, her failure to prepare an estate plan was clearly a mistake. Many are left wondering what will happen to her estate. The recent news may leave you wondering – what will happen to your estate if you die intestate? 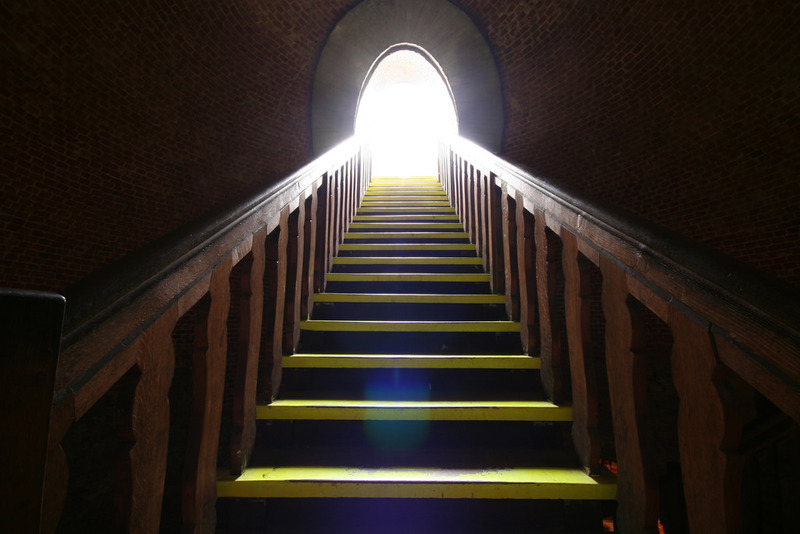 What happens if you die intestate? If you die intestate, a state court will appoint someone as the Personal Representative or Administrator of your estate. That person’s job will be to distribute your assets among your family members as state law requires. He or she will not have discretion to determine how assets are distributed or held, but will be bound by state law and the court’s authority and instruction. If you reside in Massachusetts at your death, your assets will be divided among your family members pursuant to Massachusetts Probate Code. Essentially, Massachusetts law imposes a plan for division of your assets because you did not make a plan yourself. Is intestacy a bad thing? You may have wanted a disposition of your assets among your family members that is different from what state law requires. The process of disposing of your assets will be more costly and time consuming. Your creditors will be able to reach all of your assets to satisfy any debts or claims. Your family may be more likely to fight or disagree with one another, resulting in hurt feelings and fractured relationships. The court will choose who will serve as Personal Representative or Administrator from among your family members based on relationship, not ability. The person appointed may not be the best choice or do the best job. Outright distributions of cash and other assets may be made to minors, disabled persons or spendthrifts, resulting in bad consequences. More federal and/or state estate taxes may be due. State intestacy laws are merely default rules. I do not recommend relying upon them to accomplish your goals or protect your family. Image by Brett Jordan from flickr. This entry was posted in estate, estate planning, law, probate, tax law, trusts and tagged estate planning, probate, tax, trusts on September 11, 2018 by Rachel Ziegler, Kaiser Law Group. 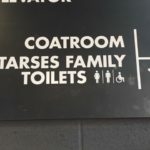 The “Tarses Family Toilets” at MASS MoCA. Named museum “gallery” or estate planning joke? 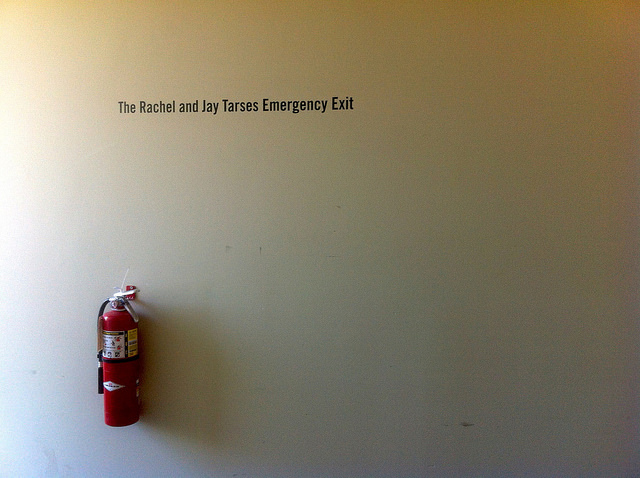 The “Rachel and Jay Tarses Emergency Exit”? 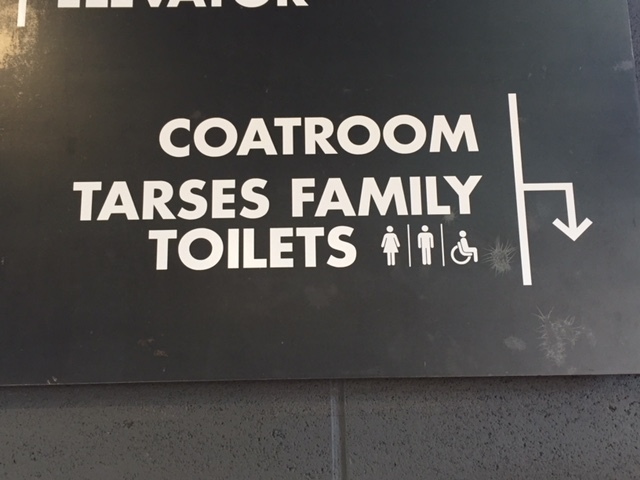 The “Tarses Family Toilets”? I spotted these unusual (and somewhat amusing) named “galleries” on my recent visit to the Massachusetts Museum of Contemporary Art (MASS MoCA) in North Adams, Massachusetts. Walking through the museum, my initial thought was that this was evidence of charitable gift planning gone awry. Here’s what I theorized may have happened. Mr. and Mrs. Tarses made a generous charitable donation to MASS MoCA – during their lifetimes, from a Trust, or even after their deaths – without imposing any restrictions on its use. Out of available galleries to name, scholarships to endow, or other respectable naming opportunities, MASS MoCA decided to take the money but be utilitarian and name the emergency exit and the toilets in their honor. Poor Tarses family! I can only imagine the angry call that was made to that Estate Planning attorney! Perhaps, I thought, I should reconsider my typical recommendation that clients give unrestricted charitable gifts to avoid future hassles and litigation. But, after a little research, I think my initial thought was wrong. 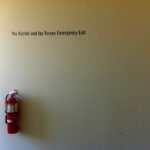 The named emergency exit and toilets were an irreverent joke – a snub to stuffy art museums, overeager museum development officers, and stodgy estate planning attorneys. How do I know? Jay Tarses is a very successful American television comedy writer and producer. He started in the 1960s as a production assistant for Candid Camera. He made his name (and presumably his money) in the 1970s as the creator of The Carol Burnett Show and The Bob Newhart Show, and later produced The Slap Maxwell Show and The Days and Nights of Molly Dodd. He’s been credited as a maverick in the development and popularity of the half-hour comedy series, and proclaims himself a Hollywood outsider. He’s also a MASS MoCA Trustee. In short, it seems Jay Tarses is an irreverent, funny guy who likes to be unique. The manner in which he has made charitable gifts seems to be no exception. If you, like Jay Tarses, wish to accomplish a unique goal as part of your estate or charitable gift planning, a good estate planning attorney can help. Just be sure it’s one who’ll get the joke. Image of emergency exit from flickr, Frank Hebbert. This entry was posted in estate, estate planning, estate tax, law, probate, tax law, trusts and tagged estate planning, probate, tax, trusts on July 9, 2018 by Rachel Ziegler, Kaiser Law Group. 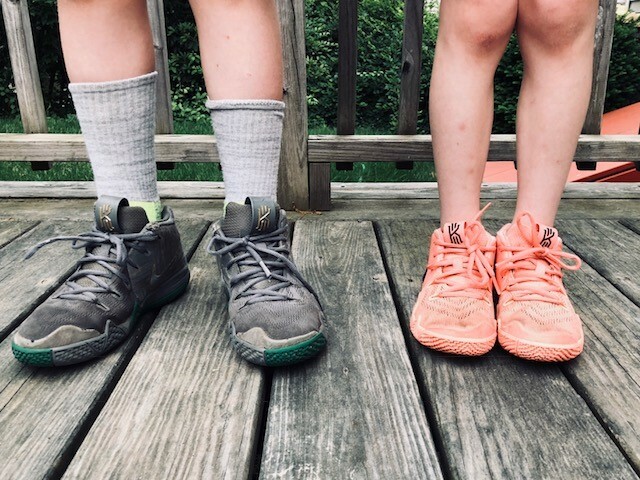 I’m sending my children away this summer – one to overnight camp for the first time and the other for an extended stay with her grandparents thousands of miles away. 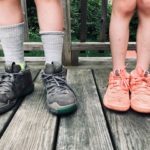 For me, it will mean (albeit temporarily) a return to a kid-free lifestyle – a busy parent’s “dream come true”. I can’t deny my excitement, but I also find myself worried. What if something were to happen to them while they are away – a medical emergency, for instance? Who will make the medical decisions for them? Could delays in medical decisionmaking have bad consequences? To ease my worries, at least in part, I’m sending my daughter to her grandparents’ house with a legal document in hand that authorizes them to make medical decisions for her. The document is an Appointment of Temporary Agent for the Care of a Minor. In the Appointment, my husband and I will authorize her grandparents to make medical decisions in an emergency. This may include taking her to an emergency room or authorizing needed diagnostic or surgical procedures. In addition, it will authorize them to take her to a pediatrician or urgent care center for more routine care to treat minor illnesses, such as an ear or respiratory infection. To be effective under Massachusetts law, the Appointment must be signed by both my husband and me. It must state that we temporarily delegate to the grandparents our parental powers, including the authority to consent to medical treatment. It must be signed by them and witnessed by two adults. It may remain effective for up to sixty days. If you too are sending your kids away this summer or in the future, be a responsible parent and consider executing an Appointment of Temporary Agent for the Care of a Minor. This entry was posted in estate, estate planning, law, probate, trusts and tagged estate planning, probate, tax, trusts on June 19, 2018 by Rachel Ziegler, Kaiser Law Group. In my previous post, I discussed the structure and tax benefits of Charitable Remainder Trusts, and the ways in which CRTs can be used to meet various estate planning goals. The following case studies from our practice illustrate how our clients have used CRTs to meet their goals. Howard owned stock in a highly appreciated life sciences corporation. The stock was valued at over $1 million and had a very low tax basis. Howard wished to sell the stock to take advantage of market growth, but the capital gains tax due following the sale would be substantial. Instead of selling the stock himself, Howard established a Charitable Remainder Unitrust (CRUT). He transferred the stock to the CRUT, and the CRUT sold the stock. Howard received an income tax deduction when the CRUT was established and deferred capital gains taxes. He and his wife will receive from the CRUT annual payments of 30% of the trust assets for their lifetimes. Bob and Nancy owned a Massachusetts vacation home valued at over $5 million. Bob had inherited the house many decades ago and it had a low tax basis. The couple’s other assets – including retirement accounts, investment accounts, and a primary residence – were modest and therefore insufficient for retirement. Bob and Nancy, now in their mid 60s, wished to sell the house so they would have sufficient income for their retirements. Rather than sell the house and incur capital gains taxes, Bob and Nancy established a Flip CRUT to which they deeded the house. They received an income tax deduction and deferred capital gains taxes. Following the sale of the house, and for the remainder of their lifetimes, Bob and Nancy will receive quarterly payments of 6% of the trust assets. These payments will allow them to retire comfortably. Samuel was unmarried and never had any children. His total assets were valued at approximately $6 million. Samuel was philanthropic by nature and specifically wished to benefit charities that provided educational opportunities for gifted children. Therefore, Samuel established a CRUT to which he transferred ownership of approximately $1 million of appreciated real estate and investments. He received an income tax deduction and, if the house were sold, would be able to defer capital gains taxes. For the remainder of his lifetime, Samuel received annual payments of 5% of the total trust assets to supplement his retirement income. On his death, the remaining trust assets passed to a charitable foundation whose purpose was to fund educational opportunities for gifted children. Eleanor was in her late 80s with declining health. Her husband had predeceased her by many years and she had one daughter, Janice. Eleanor was seeking ways in which to pass a portion of her $8 million dollar estate to Janice prior to her death. 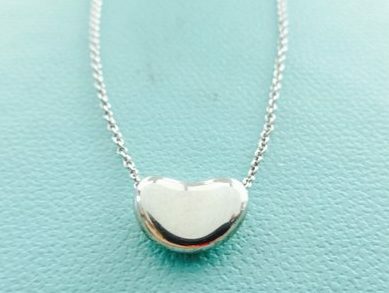 Eleanor made substantial taxable gifts,. She also established a CRUT that would pay to Janice a unitrust percentage of 5% for a term of twenty (20) years. The CRUT was funded with marketable securities with a low tax basis. Eleanor received an immediate income tax deduction. Janice will receive supplementary income for twenty (20) years. At the end of the term, Janice will select public charities to which the trust remainder will pass. This entry was posted in estate, estate planning, estate tax, law, probate, tax law, trusts on June 12, 2018 by Rachel Ziegler, Kaiser Law Group. A Charitable Remainder Trust (CRT) is an irrevocable trust that provides for periodic payments to be paid to individual beneficiaries with a remainder paid to a charity. CRTs are versatile estate planning tools that can be used to meet various goals – to reduce income taxes, to defer capital gains taxes, to generate lifetime income for the donor or others, and to benefit charities. A CRT may be funded by a donor with cash, securities, real estate or tangible personal property (such as artwork). The CRT terms must provide that the donor (and/or his or her spouse or other family member) receive periodic payments for life or a term of years. The payments may be a percentage of the trust assets (a “unitrust” percentage between 5% and 50% of the total trust assets) or a fixed annuity amount. The payments may be made annually or more frequently. The CRT terms may vary in other ways. At the end of the term or on the death of the surviving beneficiary, the remaining assets in the CRT are paid to a charity or charities selected by the donor. The donor may select the charities when the CRT is established, but may change the charities at a later time. To qualify under tax laws, the remainder passing to charity must be at least 10% of the total fair market value of the trust assets. CRTs offer significant tax benefits. When the CRT is established, the donor receives an income tax deduction for the value of the remainder that passes to charities. In addition, capital gains taxes are deferred until distributions are made. CRTs are a versatile estate planning tool. We have used them in our practice to meet a variety of client goals. Stay tuned for an upcoming post on case studies from our practice. This entry was posted in estate, estate planning, estate tax, law, probate, tax law, trusts, Uncategorized and tagged estate planning, probate, tax, trusts on June 4, 2018 by Rachel Ziegler, Kaiser Law Group.